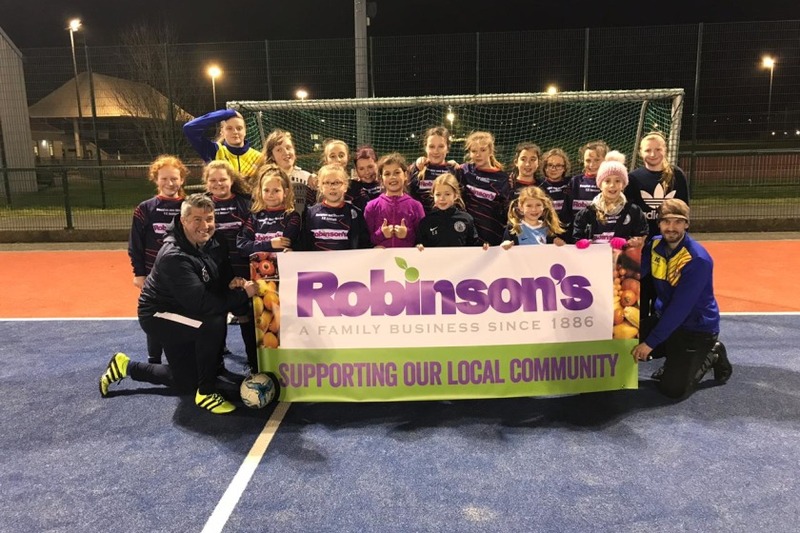 The Isle of Man’s young female footballers have received a boost from Robinson’s, who have chosen to sponsor Douglas and District FC’s Junior Girls Football initiative. The scheme, designed to nurture talent and develop skills in sporting 4-12 year olds, has been a resounding hit since it was first launched, and support from Robinson’s ensures its viability well into the future. The first incarnation of the scheme was started in 2012, with free soccer schools for boys under eight and coaching from First Team players Richard Brant, Chris Bowers and Andrew Gosnell. Five boys attended the opening session; there are now over 50 boys aged 4-12 registered, additional coaches and multiple teams. Junior Boys has led to a number of players representing the Isle of Man, and the school won its first trophies in 2015 and 2016, taking home the Under 10s Office World Cup two years in a row. Douglas and District has also won the Isle of Man Football Association’s Community Awards ‘Charter Standard Development Club of the Year’ three times (2012/13, 2013/14, and 2016/17). Junior Girls was an an instant success upon its launch in 2016, with over 40 girls attending the open day alone; there are now 55 girls, eight teams, and five Under 10 girls in the FA’s Centre of Excellence Squad. Set up by Andrew Gosnell (Senior) and Ric Delaney, with help from Lauren Shimmin, the school now has three more coaches and is set for further growth. Ric Delaney comments, “Girls’ football is only getting bigger in the island, and other clubs are following the example of Douglas and District FC. 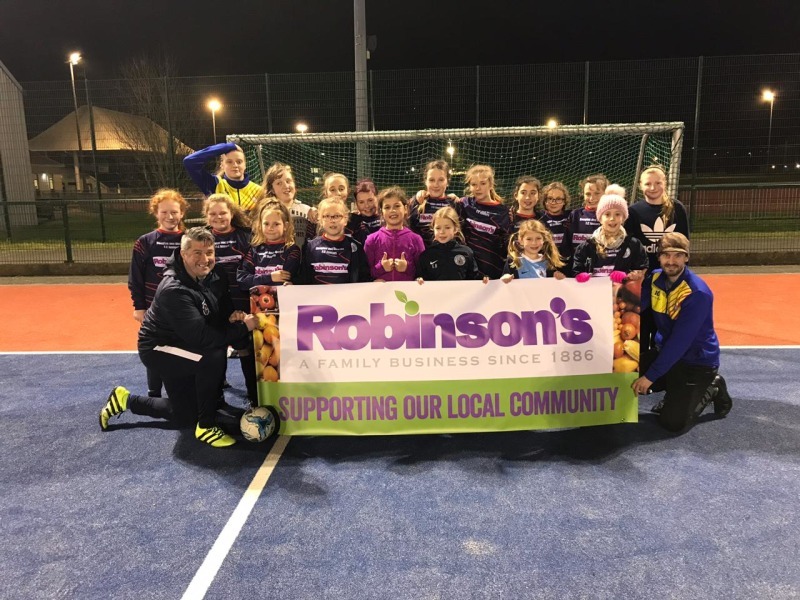 Robinson’s sponsorship has helped the girls and boys massively in getting new kits and jackets, and has secured the future of our Junior set-up. We are currently trying to organise a Robinson’s Cup Competition, which will be a brilliant way to end the season”. Katie Mathieson-Nelson, Robinson’s Marketing Manager, says, “We are delighted to be part of this youth initiative and thrilled to see that interest in girls’ football is growing in the Isle of Man. Our whole team is really excited at the prospect of the Robinson’s Cup Competition, and looking forward together to this event”.